myCopter: Another Step Towards the Age of Flying Cars? With news about the Terrafugia being deemed roadworthy hitting the Net recently, hopes for the Age of Flying Cars are sky high. Now, another flying car is in the limelight, making the possibility of flying cars even more of a reality. 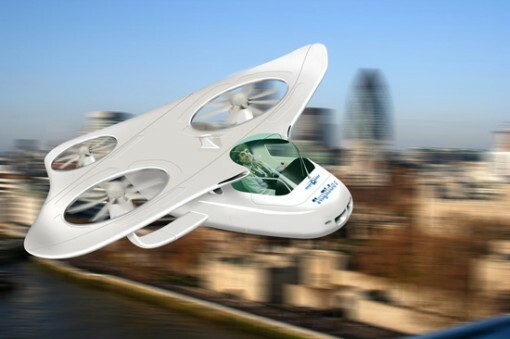 This new vehicle is called – rather unimaginatively, I think – myCopter, and it is being touted as a solution to the ever present problem of road congestion. The myCopter is a Personal Aerial Vehicle (PAV) – presumably one of the first of many yet to come – that is aimed to be part of a future personal air transport system (PATS). The idea is for PAVs to be partially or fully autonomous, doing away with the need for air traffic control, which is currently required for airplanes and helicopters. Also included in the concept for a PATS is the fact that PAVs should only be allowed to fly outside controlled airspace, so as not to interfere with the current air traffic. Brilliant concept – no one can deny that. And if they actually get this system (including the myCopter and other future flying cars) off the ground, I guess we can truly say that this aspect of science fiction has become a reality. Of course, there are numerous issues that have to be addressed before you and I (and everyone else) will be allowed to man myCopter. Just thinking about all the road accidents we hear about on a daily basis is enough to give anyone the shivers. Now just imagine reckless drivers, not to mention tipsy or drunk ones, taking to the air. For sure, there will always be the moron who will make the air unsafe for everyone else! Then again, the system designers of myCopter have already taken this into consideration. That is why myCopter is going to be part of a network of flying vehicles. A controlled network, that is. Imagine a cable car system translated into an air system – the myCopters will be programmed to follow formations and avoid obstacles. That may take away from the fun of flying, but in this case, I think safety is a more important consideration. The last thing I want is two myCopters crashing above my house and killing me while I lounge in the garden!